ComAvia Systems Technologies' flagship product has been PATS - Portable Avionics Test Solution - a product with few equals in the world. Can be loaded on any portable computer (Laptop, PCs,etc) with relevant hardware interfaces and can be used to perform powerful independent and integrated avionics systems testing over the interfaces like 1553B, ARINC, AFDX, ethernet, RS422, etc. 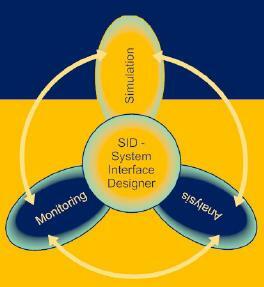 PATS has essentially four major modules - Simulation, Monitoring, Analysis and SID (System Interface Designer). Each of these systems can work independently or in a networked environment. The SID is the heart of PATS where all the data (ICDs) flowing between various systems is populated. The Simulation System has the power to simulate any system defined in the SID with all it's capabilities thereby reflecting the actual environment of the UUT. The Monitoring System as a passive observer displays and logs the traffic flowing on the interfaces in real time for authentication and post run analysis. The Analysis System works off-line and can replay the entire activity in formats and displays than can be chosen by the user.